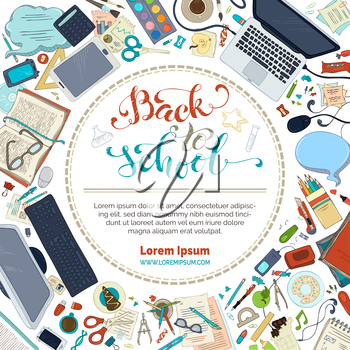 School supplies, stationery and gadgets on white background. Books, pens and pencils, laptop, scissors. There is copyspace for your text in the center. Vector illustration.